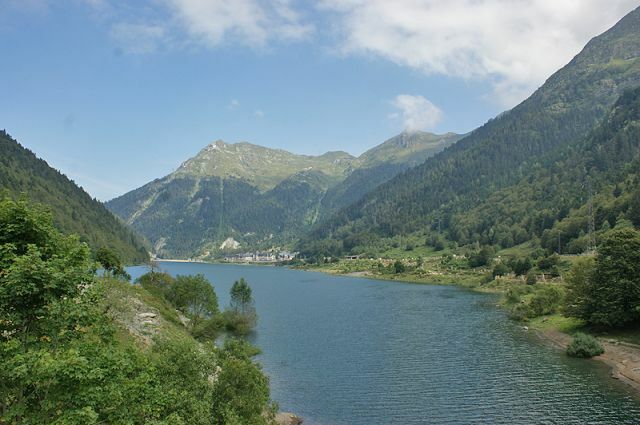 Béarn has three beautiful Pyrenean valleys: Ossau, Aspe and Barétous. They are the lands of bears and birds of prey. They have a strong pastoral identity. Oloron, one of the oldest towns of Béarn, where the gaves of Ossau and Aspe meet form the Gave of Oloron. The Ossau Valley is dominated by the Pic du Midi d'Ossau, which is in the shape of a shark's tooth. It attracts people from all over the region. It is a beautiful valley with a rich history. The inhabitants of the valley were always fairly autonomous and established a democratic system very early on. 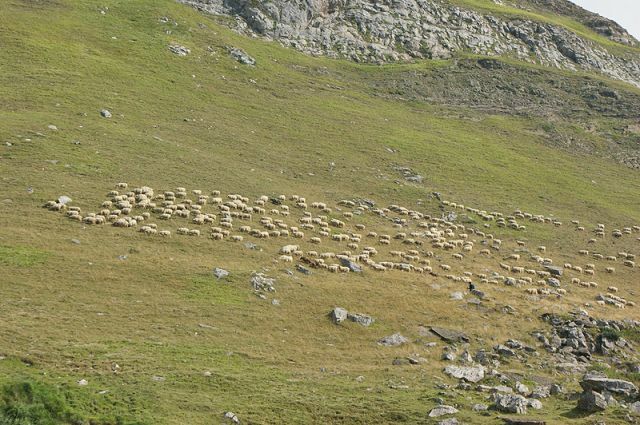 They practiced transhumance (moving livestock from low pastures to high pastures in the summer), which still happens today at the beginning of the July. This is an event not to be missed. The iconic product of the valley is obviously sheeps' cheese; the AOC cheese Ossau-Iraty is famous far beyond the region. 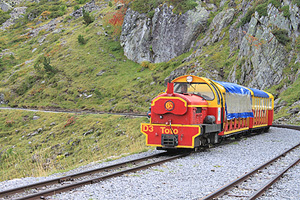 Find the Tourist Office of Arudy in Ossau Valley HERE. The Aspe Valley is adjacent to the Basque Country and the Aragon region on the Spanish side, but remains a Béarn valley with a very strong identity and character. The Aspe Valley is truly stupendous; cirques, peaks and other gorges are to be found here. Stumble across small, beautiful, picturesque villages such as Escot, Bedous, Lourdios and Accous. The Barétous Valley, on the borders of neighbouring Soule and the Basque Country, is a very green region, with meadows, forests and pine trees at altitude. It is the valley of the three musketeers, Aramis, Porthos and Athos, who had to run away from the overpopulated valley at the time They enrolled as special troops in “the régiments de mousquetaires”, the famous cadets of Gascony. Oloron, administrative centre of Béarn, is a very old town, located at the junction of the Gaves of Ossau and Aspe, forming the Gave of Oloron. It has a strategic location, on the Santiago de Compostela route, and today is a listed town for art and history. When you arrive you will see one of the picturesque sites of Oloron - on the hill, crossing the gave, is a line of high houses which look like they are plummeting into the Gave. There are many aspects to Oloron. There is the Sainte Marie quarter, the treasure of which is its cathedral; the Sainte Croix quarter which has a church and the tower of Grède; the Notre Dame quarter which has a church and crypt. For a very long time, the wealth of Béarn has come from the sheep herds and the wool they produce. The shepherds of 'high Béarn' always looked down on the inhabitants of the meadows. In early July you can watch the transhumance take place. Come and taste the products of the valleys, including the famous sheeps' cheese, traditionally aged and containing the salt of Salies. Today it is a popular product to be found in delicatessens and cheese shops in the region. This is the western part of the Pyrénées National Park, and therefore in a protected area. You may spot an Isard (Pyrenean chamois), a vulture eating its prey or even, but it is much rarer and more dangerous, you may cross the path of a bear while hiking along these trails. The bears were reintroduced into the Pyrenees Mountains around fifteen years ago. Indeed, since the beginning of the last century, the bear was nearly an extinct species in the Pyrenees, with a population of more than 150 dwindling to less than 6 at the beginning of the 1990s. 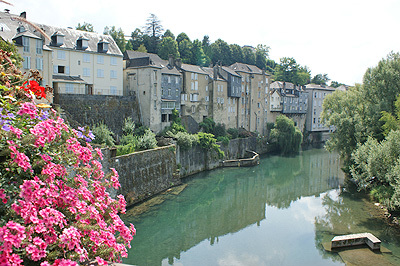 This part of Béarn is a popular place for sports, such as trout fishing (here the famous Fario is king), as well as all white water sports, rafting, canyoning… in the rivers and the gaves; or mountain biking, or simply hiking or horse riding...on more than 1,000 km of trails. The high Béarn is the kingdom of winter sports, which appeared in the Pyrénées at the beginning of the 20th century. 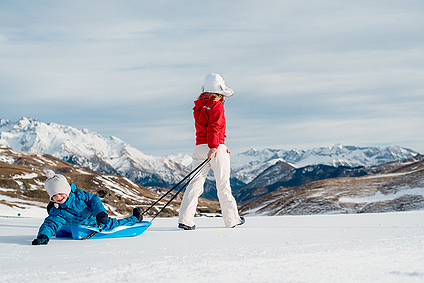 In 1907, the Pau Ski-club created the first ski resort in the Pyrenees Mountains: Gourette. Click HERE for the Gourette Tourist Office.